As home to the purest air in the country and 320 days of sunshine every year, it’s no wonder that Santa Fe is a huge draw to outdoor enthusiasts of all varieties. From skiing, hiking and biking in the mountains, to river rafting or fly fishing along the lakes and rivers, there truly is something for everyone. Northern New Mexico just so happens to be one of the best places for fly fishing in the western United States, and Santa Fe serves as a great jumping off point for your fishing adventures. There are wonderful fly fishing opportunities in the Santa Fe, Chama, and Taos regions. Book your room at our luxurious Santa Fe Bed and Breakfast, where you can enjoy the exciting nightlife and great restaurants of Santa Fe after a long day of fly fishing and relaxing at the many rivers, lakes, and streams in Northern New Mexico. For many outdoor enthusiasts, fly fishing epitomizes what it means to relax and enjoy your natural surroundings. If the fishing isn’t enough for you, then you’ll surely enjoy the breathtakingly diverse landscapes on your fly fishing adventure, where you’ll find everything from deserts, canyons, and mountains with forests of pines and aspen, to mesas brimming with cactus and juniper. 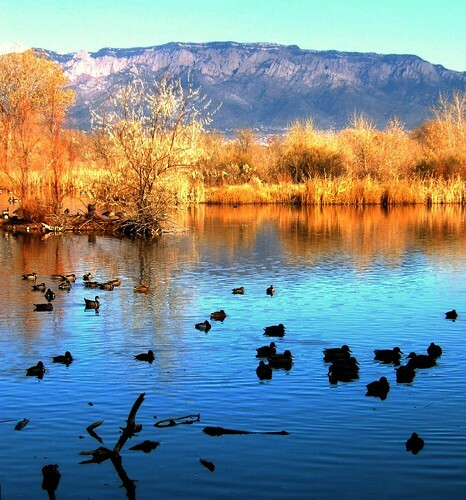 Northern New Mexico is home to a variety of fishing opportunities also, including large rivers, high mountain spring creeks, and lakes. Whether you’re an experienced fisherman or are just testing out the waters, the areas surrounding Santa Fe are great places to sample the finest of New Mexico fly fishing. Local guide companies, such as The Reel Life or the Land of Enchanment Fly Fishing Guides, can help you find the perfect fishing experience to suit your needs. In Northern New Mexico’s fly fishing waters, four main species of trout can be found, depending on the area you choose to fish. The most popular fly fishing areas include the Chama River and it’s main tributaries, the Rio Grande and it’s main tributaries, the Pecos River, and the Jemez River. The Chama River is one of the least known, yet most diverse, trout fishing streams, and is also one of the most scenic, lending itself to wonderful fishing adventures for those seeking an authentic fly fishing experience. If you’re looking for a fishing experience amongst our beautiful alpine meadows where large fish don’t make your day, then the Jemez River is for you. 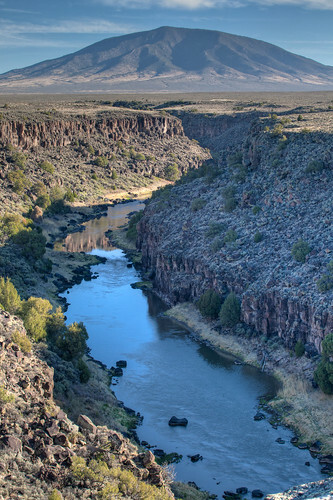 It should be no surprise that the Rio Grande is one of the more popular trout fishing rivers in New Mexico, rewarding fishers with large trout along its 70 miles of water. The Pecos river is very easily accessed, making it a popular fly fishing destination for families and tourists. As you can see, there is a lot to choose from when planning a Northern New Mexico fly fishing adventure. We look forward to hearing your fishing stories when you stay with us at our Santa Fe Bed and Breakfast Inn.